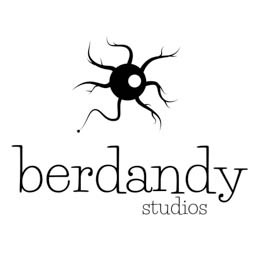 Berdandy Studios makes tabletop games. We specialize in mechanics-light, story-heavy collaborative experiences. We operate using a Open Pre-order Model. Funds received from pre-orders of our games are used to pay artists and other contributors to our games. In this way, as pre-orders come in, better art and more content replaces and/or supplements the functional placeholders created by Berdandy Studios. Everyone benefits and the product gets better. This is a compelling (and hopefully sustainable) alternative to Patreon and Kickstarter models of game development. Questions about this model? Ping @andyberdan on twitter. He'll be happy to talk about it (and how it's implementable on itch). Otherwise, check out our library of games below. This ain't your grandpa's RPG. Some of the released titles are also available on DriveThru. Follow a month in the life of a dumpster fire of a band on a train wreck of an album tour. Tell puns! Torment friends! Win prizes! Trapped in a cabin with horrible people, keep quiet or risk attracting unwanted attention.